A man has been arrested after allegedly getting onto train tracks and into a tunnel Thursday morning, causing delays of more than an hour for commuters at rush hour, government sources tell NBC 4. Cory Clark, who was wanted on parole violation from Pennsylvania, is accused of single-handedly causing commuter chaos into Penn during the morning rush. Cory Clark is accused of single-handedly causing major commuter delays Thursday after allegedly making his way onto train tracks in a tunnel into Penn Station. At about 8:05 a.m., a person was seen in the tunnels near Penn Station, the MTA said. Police were dispatched to the area while multiple transit services were halted or canceled altogether. 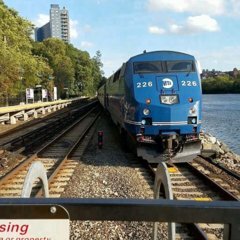 Long Island Railroad was forced to temporarily suspended westbound service between Jamaica and Penn due to the person on the tracks in an East River tunnel. By 9:30 a.m. service was restored, but there were delays of up to 86 minutes on some services. He must really miss Pennsylvania.